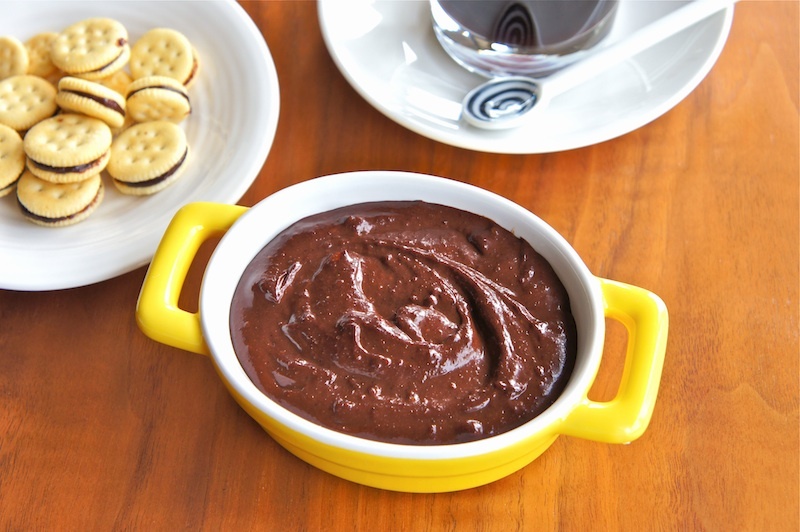 You will be surprised how easy it is to churn up this decadent and yet healthy Chocolate Almond Spread. Best of all, there’s no cooking involved here. Just use your trusted blender or food processor to process all the ingredients until it reaches your preferred consistency. The original recipe was posted by Viviane from Chocolate Chilli Mango blog. The only change I made was I used store-bought organic crunchy almond butter instead of roasted almond. The result was fantastic and I couldn't agree more with Viviane that it does taste better than any other sweet chocolate and hazelnut spread. 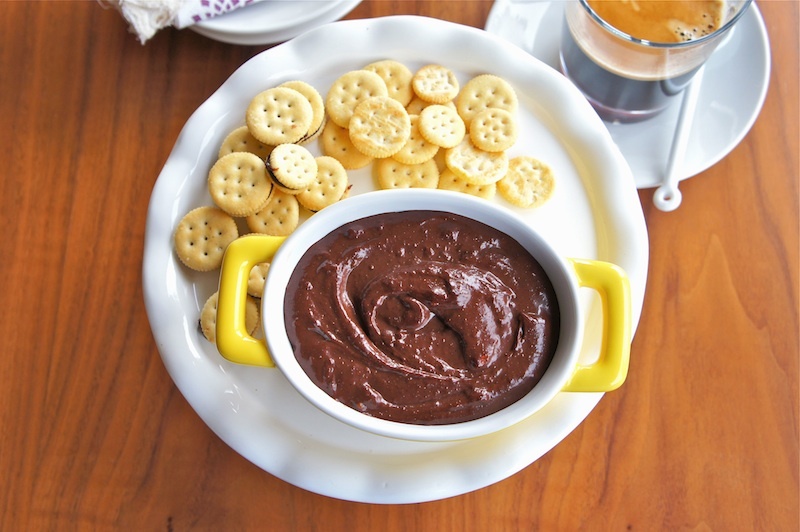 Do check out the original recipe from Chocolate Chilli Mango. Combine almond butter, vanilla paste, coconut sugar, cocoa powder, and vanilla protein powder in a food processor or a blender. Whizz all the ingredients together by adding a little water at a time until it reaches your preferred consistency. Scrape the chocolate almond spread into a clean jar and store in the refrigerator. hahaha i can imagine the amount of lickings from spatula to blender/food processor and all during the making of this. yums! ahhh i love almond butter! this looks like my kind of food hehehe. And it's healthy-ish! Perfect. This picture is actually hard to look at because I'm STARVING right now! Looks so good! oh WOW! and your photo is so lovely!!! I never thought of doing this with almond butter. It is genius. ooh, can't wait to try this. If I like it even better than Nutella, I will be your fan for life! oh, wait, I'm already that crazy for your site. thanks for such fabulous posts as this! @Junia: You should try making them. It's really good! @Charissa: Yes, healthy-ish is the keyword. Thanks for the complements. @Dmarie: Well, I can't wait for the verdict! I hope you like it, and thanks for the lovely notes and supports. Delicious breakfast! I love it and it also tastes delicious! It is perfect with a glass with cold milk.